The Fort Stockton Public Library system is located at 500 North Water Street in Fort Stockton, TX. The Fort Stockton Public Library provides free services to all residents of the community and the public library system area. Persons residing outside of the geographical area, but owning property or attending a college or university in the area shall be considered residents. Non-residents will not pay a fee, but will have limits placed on checkout privileges, depending on materials requested. 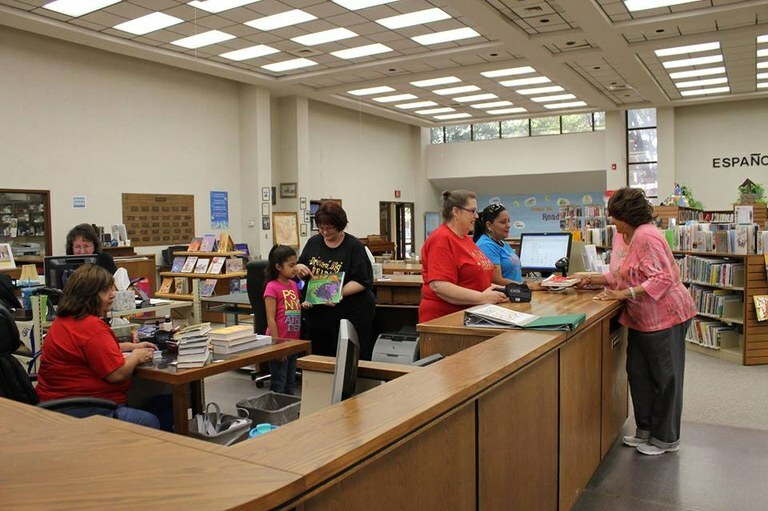 The mission of the Fort Stockton Public Library is to provide quality materials and services in a variety of formats which fulfill the educational, informational, cultural, and recreational needs of the entire community in an atmosphere that is welcoming, respectful, and businesslike. The Library is committed to providing the community an opportunity to expand their minds, broaden their lives, and enhance the quality of life in this ever-changing world. Provide reading, viewing, and listening materials for general knowledge, cultural enrichment, education and recreation. Provide authoritative and timely information in support of a productive lifestyle, occupational and educational need, and intellectual curiosity. Introduce youngest members of the community to reading and learning activities with books, computers and children's programming. 2. To serve all residents of the community and the surrounding region as a center of reliable information. 4. To acquire the means to provide the most frequently requested materials locally and upon demand. 5. To maintain a program of service which locates information, guides reading, organizes and interprets material for people of various backgrounds, and stimulates thinking and intellectual development in individuals of any age. 6. To strive consistently to discover new methods and improvements for better service for the library's customers. 7. To review regularly these goals of the Fort Stockton Public Library and, if necessary, revise them in the light of new developments.